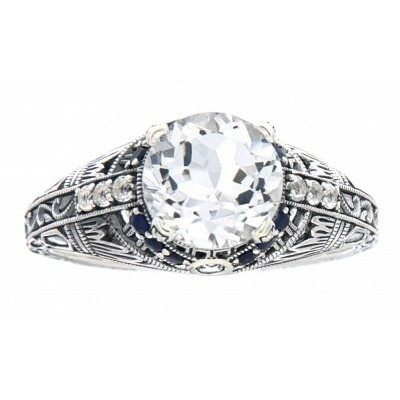 Handcrafted Sterling Silver Filigree ring in the classic Art Deco style. 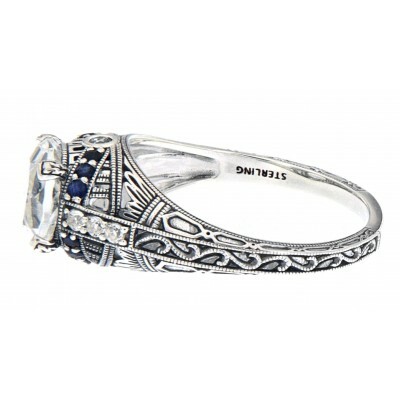 This White Topaz filigree ring features a center mounted 7mm White Topaz gemstone flanked by 8 White Topaz and 12 coordinating blue sapphire accent gemstones. 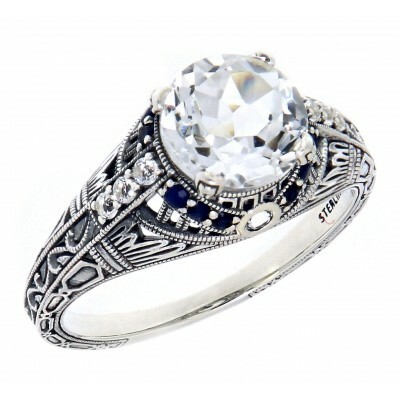 The elegance of this sterling silver filigree gives this ring its distinctive flair.